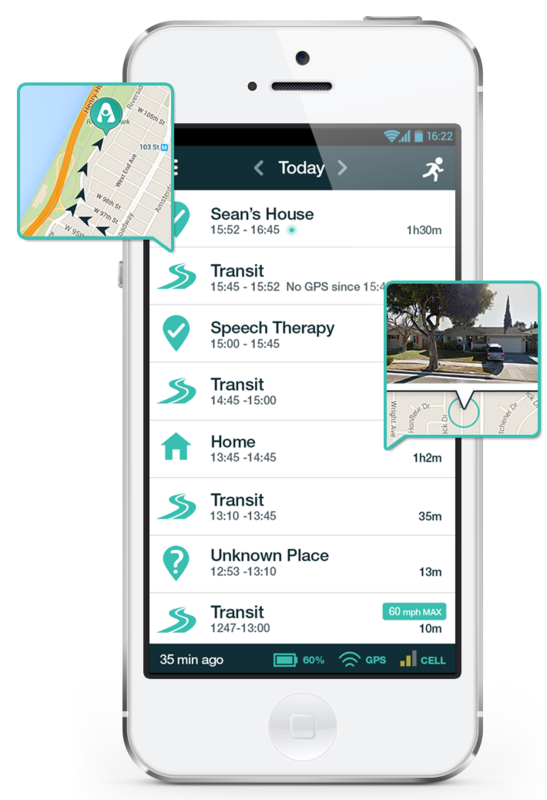 The AngelSense Timeline is a daily activity log of locations and transit reports that are stored within the AngelSense App and can be accessed via smartphone, computer or tablet using your AngelSense account username and password. The GPS location will update at different intervals depending on the location or activity. 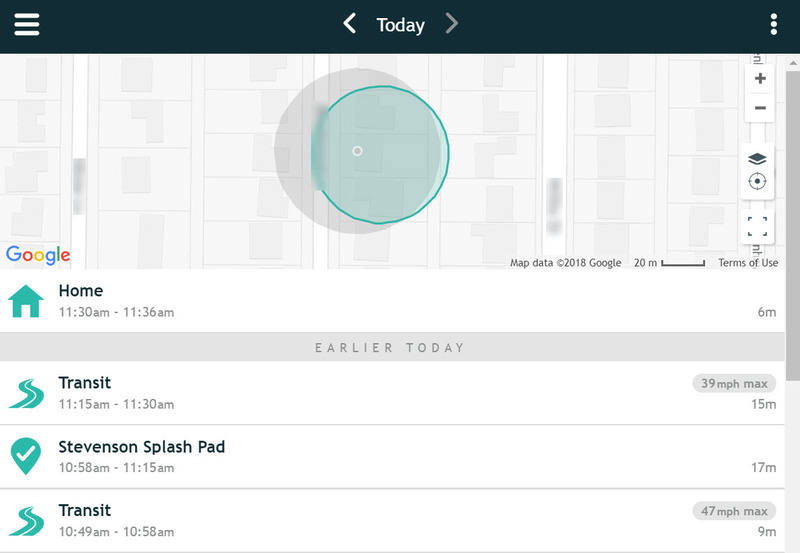 A Transit entry occurs anytime the AngelSense device is in movement. The first entry in the timeline of Today is the "Current Location". When you click on one of the entries in the Timeline, another window opens and you can see either the transit map with exact route taken, or a location/place on a map. New entries occur when the AngelSense device leaves a location/place and during transits. Device Status: At the bottom of the browser window is a permanent status bar. It does not change when moving between screens of the AngelSense app. The status bar displays the status of the AngelSense Guardian device. To view past days in the Timeline, you can simply click on the '<' symbol next to "Today". 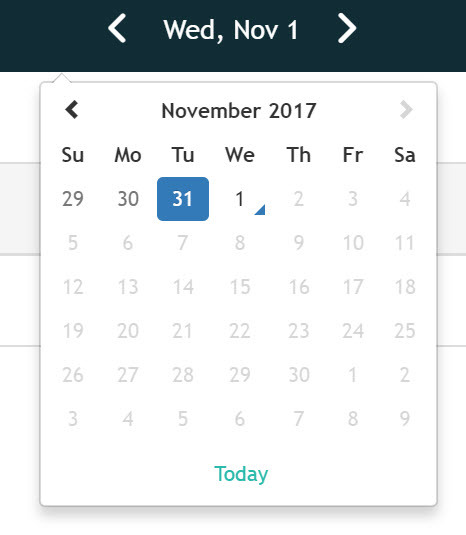 If you click on the date at the top, it will bring up a Calendar so that you can choose a specific date to view. Once you reach the farthest point on the Calendar to view, you can then use the '<' symbol to continue looking back at previous dates. The Timeline shows the current location on the map at the top of the Timeline. You can then enter into the location as usual by clicking on the entry in the Timeline.